A forgotten dirt road meanders towards Hermitage Dam in the green hills above Kingston. My shoes joyously hit mud pools and I take in the cool air of another Saturday morning. To run here is a blessing. Around a bend in the road, the thick cover of trees and shrubs breaks open to a wide panorama; in the valley below, the morning mist covers is gently pushed aside by the first rays of sunlight, uncovering a hundred shades of tropical green. If there is a natural mystic flowing through the air, it is here and now. One more Saturday run through Kingston; one more bike ride through the green hills we have come to love so much. In October of 2006, Kirsten and I leave Jamaica and Jamaicans after they have taken us on a 2 year honeymoon; the Jamdammer community and spirit were part of its sweetest moments. From the Caribbean sun, we move under a Middle Eastern one. Apart from reading up on the Palestinian-Israeli conflict – my main terrain of work in the next years – one of my first actions is to find a running club in Jerusalem. How else can I follow the advice of fellow Jamdammers after our Minnesota adventure that I should aim for a sub 3 following my self-surprising 3:09 at Grandma's Marathon. I quickly find the one and only club in Jerusalem: they're good enough runners who have the odd habit of drinking beer after a long Saturday morning run. But Jerusalem is made for religion, not the free spirit of running. I have my sights on Amsterdam 2007, but the long runs are never a joy; the city lacks green space, there no respect from fellow road users and its hills are ferocious and without Kingston's mellow patches in between. Most disturbingly, you cannot run anywhere without being confronted with the symbols of conflict. Jerusalem is safe; except for the mind. In the midst of summer, I move my marathon training to Damascus where Kirsten and I follow an Arabic language course. I meet no other runners in four weeks of training and the schedule through Syria's summer heat is tough and lonely. 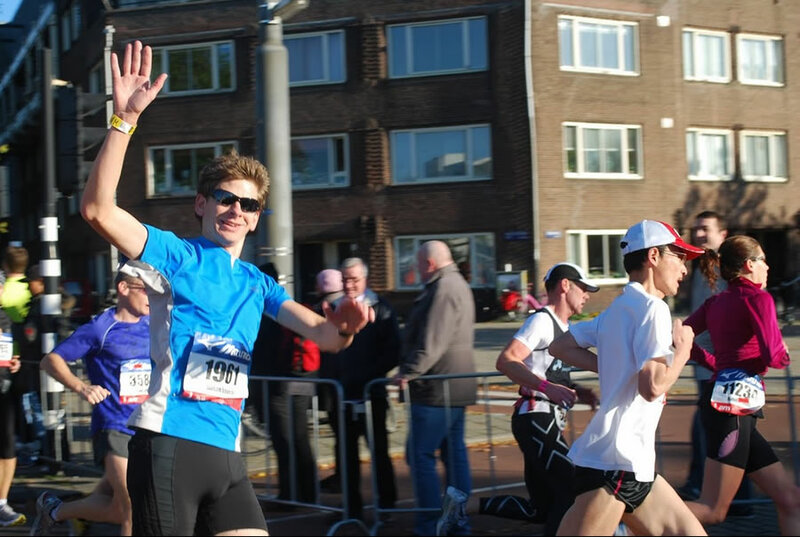 I arrive in Amsterdam fitter than I ever was; yet I fail to keep pace beyond the 28km marker and struggle the last 10km to a disappointing 3:12. Slowly but surely I run less and less through the hills of Jerusalem. I get in one run a week at least to keep my mind from becoming restless, but I miss the community spirit of the Jamdammers, the indulgent breakfasts and the 5 am hill repeats on Thursdays. And the record starts to show: I run half marathons and 10Ks in Tel Aviv, Budapest, Amman and at the shores of the Dead Sea; but my times are ever slower. Fortunately, I find a new way to keep fit and, as important, trace back some of that community spirit. 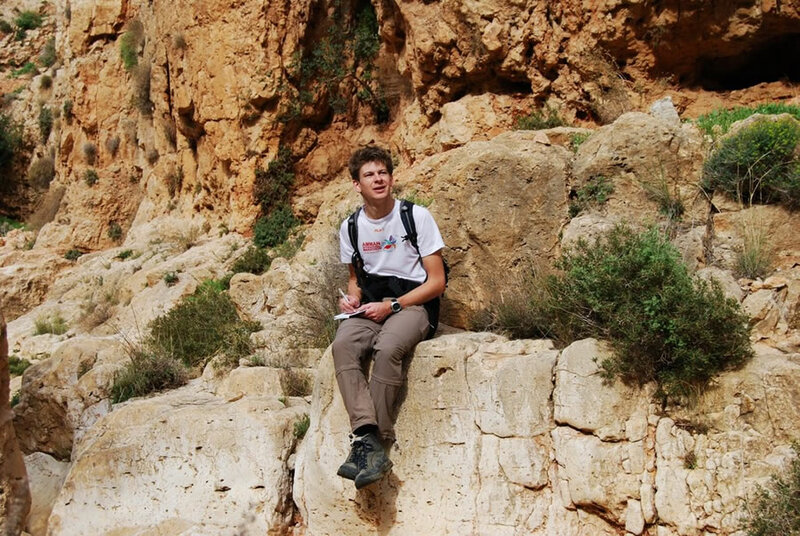 I start making exploratory walks across the Palestinian West Bank, a region full of landscape diversity, spectacular desert gorges and rolling hills full of olive trees amidst amazing heritage and hospitable villages. From a small group of initial explorers the walking group eventually grows to 150, a mixture of diplomats, journalists and local Palestinians. After four years of travel and experience in the Holy Land, Kirsten finds a PhD scholarship in the Netherlands and we decide to move back. I leave the European Commission and start working part- time from our new home in Rotterdam, leaving time for three of my favorite exercises: running, walking and writing. I work on a book documenting the walks in the West Bank and get inspiration through ever more and longer runs in Rotterdam's public parks and along its canals. After Jerusalem, the sheer joy of breathing cool air, smelling a northern European spring and, indeed, running in rain, cannot be described. I still miss the breakfasts but the Jamdammer spirit is back in my running. 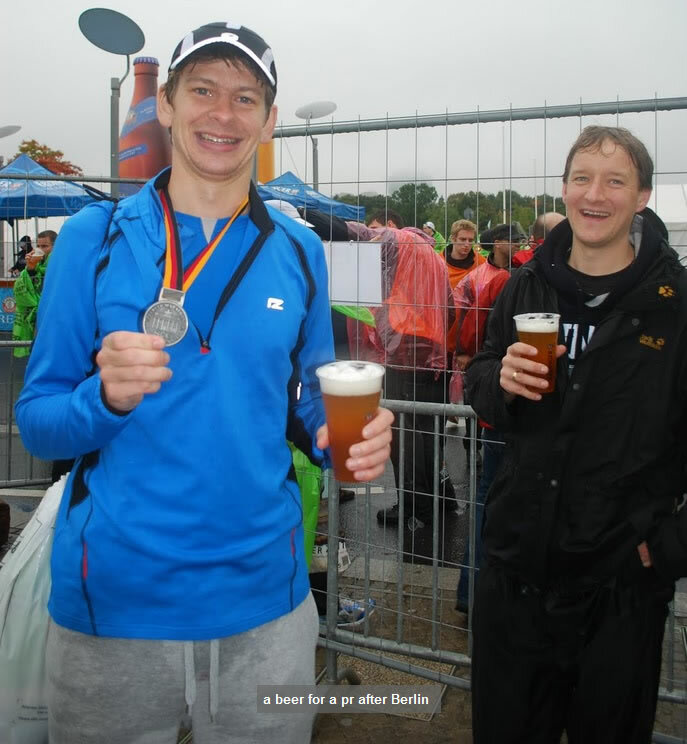 I find a local club that trains three times a week and in a moment of irrational high spirits decide to register for both the Berlin and Amsterdam marathons. 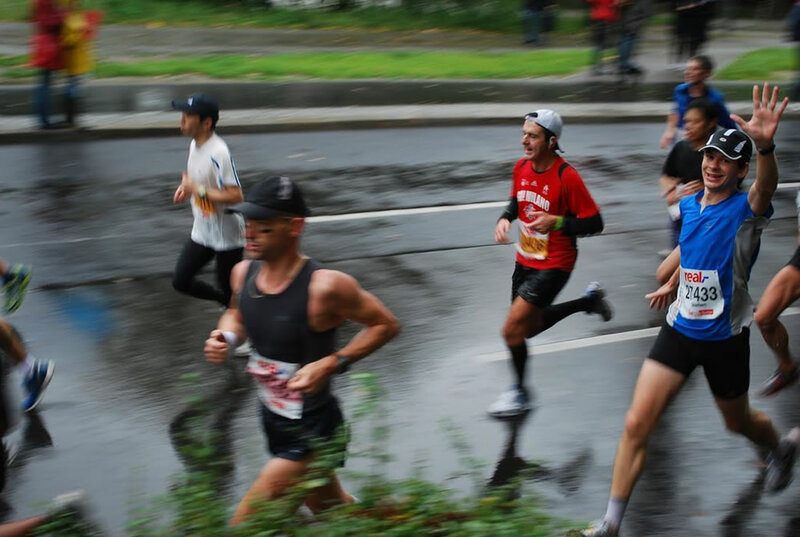 In Berlin, rain pours down all morning but the crowd cheering on the thousands of runners is amazing, with Kirsten and two German friends biking a marathon on their own to keep my spirits up. I keep pace and surprise myself by a soaking wet finish of 2:59. 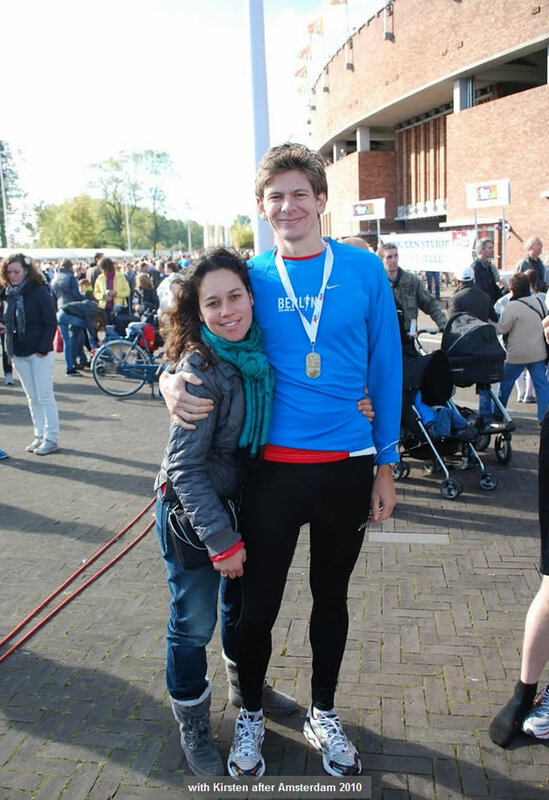 In sunny Amsterdam three weeks later I feel I have nothing to lose and try again: 2:58 is the result. Surely, the extra miles after leaving Jerusalem helped, but to enjoy your running to the max was far more important. My first winter in six years is not the horror I fear it to be, in part because of running through the freeze; the great feeling of your body warming up against the cold. One Sunday morning, a small section of the club dares to go out after heavy snowfall has covered all of the city and its parks. 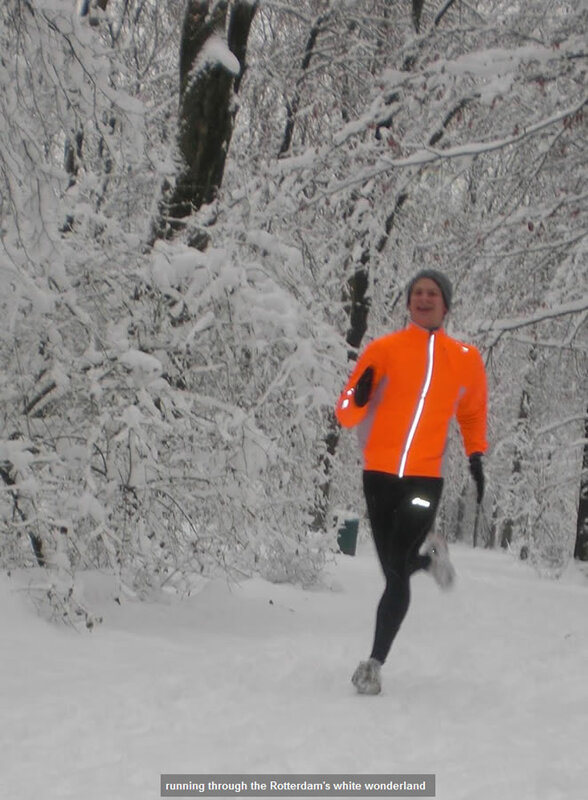 The sound of fresh snow cracking under my shoes is the most wonderful sensation while running through a spotless white landscape. 2011 is a year of big changes; our daughter Ayunin is born on August 5th; she seems to have my legs, but otherwise I'm glad she looks very much like Kirsten. 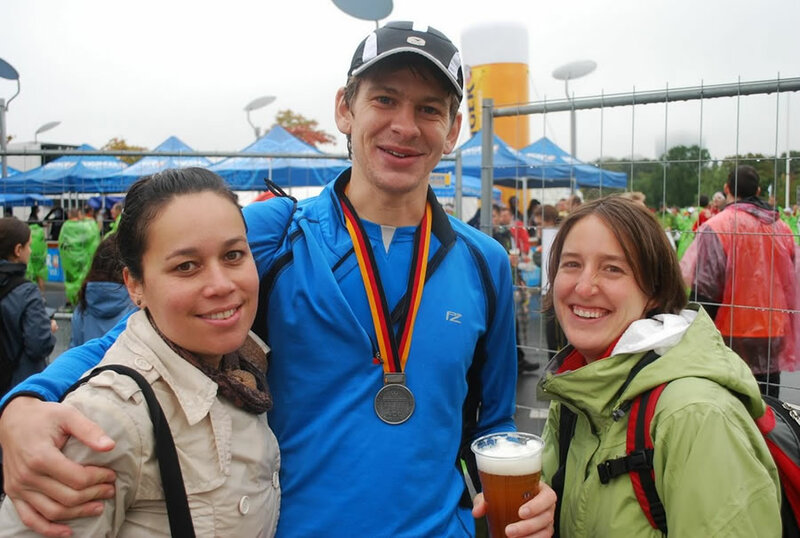 A few months before that, I try to aim for 2:55 with a few team mates in our hometown Rotterdam marathon. I train harder than before but also less frequent. We start with 4 comrades aiming for the same time, but only 2 succeed. I have to let them go, once again at the 28 km marker, and finish in 3:02. But I'm happy with my progress since Jerusalem; and much more importantly, I'm thrilled I found back my love for running as I left it on the Island. I might not be running in Jamaica, but Jamaica is running in me.